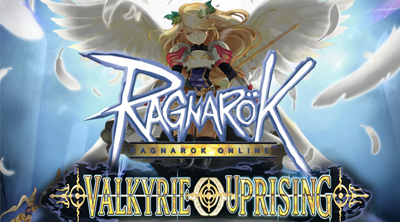 Here's a guide on how to do quick chats by using saved text shortcuts in the MMORPG - Ragnarok Online: Valkyrie Uprising. This is a very useful method to avoid retyping all the long words you just displayed every time you need it. Use this to easily sell or buy items that can't be auctioned like Big Bags, Cash Shop Headgears, Crafting Materials, Pets, and more. Pretty useful too when looking for "FS", "Wall", or "Runner" parties. Step 1: Finding the Text Shortcut Icon! 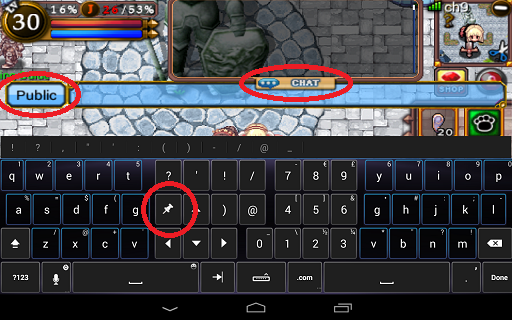 - Select the Chat feature to open the chat window. "keyboard "apps might use different icons for it. 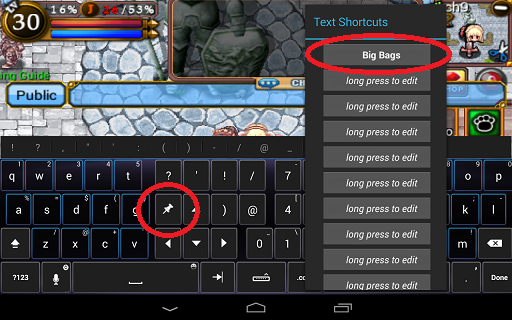 For this guide I am using the "Thumb Keyboard" as an example. Step 2: Editing Text Shortcuts! - Tap and hold any slot you like to edit and save a text shortcut. 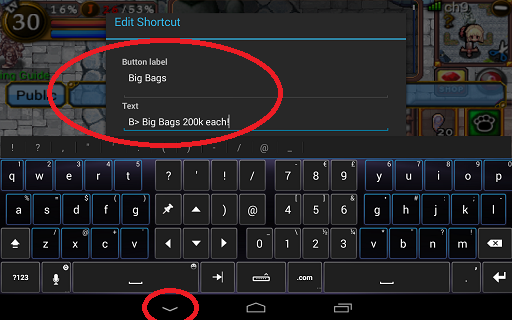 Step 3: Labeling and Saving Text Shortcuts! - Button Label: A quick word or phrase that describes your text shortcut. display in-game is limited, test and edit again if necessary. 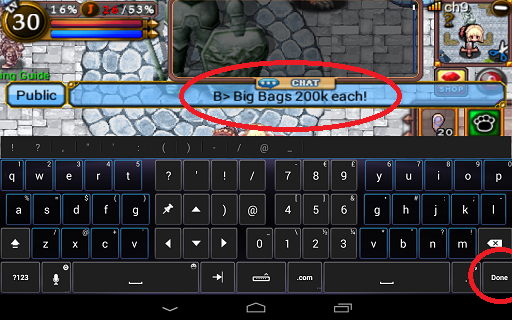 - Next, minimize the keyboard to view the "Save" option. Save it then you're done! Step 4: Using the Saved Text Shortcut! - Open the Chat window again then select the "Pin" icon. - Look for the saved text shortcut and label, then simply tap on it once. Step 5: Displaying the Saved Text Shortcut! display the text. Repeat if needed, but please avoid spamming! 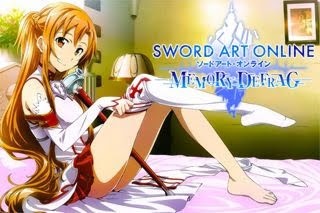 weird complicated characters in their names!